Welcome to Navenby Church of England School. Thank you for visiting the Navenby Church of England Primary School website. The school is at the heart of the small, rural Lincolnshire village of Navenby with around 200 pupils on roll. The school building and environment house a range of appealing facilities including a performing arts studio, computer suite, library, bicycle and scooter store, trim trail, community cairn, outdoor classroom and a stunning field. 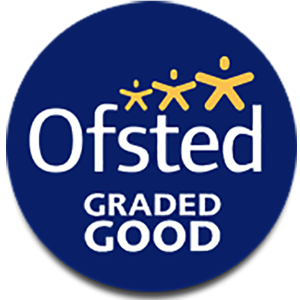 Navenby Primary School was judged to be “an outstanding school” by Ofsted in September 2006 and we strive to maintain these consistently high standards and to nurture everyone’s talents and strengths so that every child can achieve success. Our strong supportive team works cohesively to ensure each child feels safe, valued, cared for and respected so that they develop an excitement and enthusiasm for learning which they can take with them through their lifetime. We plan many exciting cross-curricular themed activities (many initiated by the children) based on a question-focused 'Learning Challenge' Curriculum. Contexts for learning are meaningful, modern, motivating and challenging so that our children take great pride in the learning they display. Our pupils have a positive attitude; they are confident, well-mannered and well-behaved and they genuinely care about each other, further fostering our Christian values and ethos which are evident for all to see when speaking to the children or walking around the site. On our most recent 'outstanding' church school inspection (November 2017), the inspector noted that 'the positive Christian ethos, based on secure values, underpins an inclusive, caring and spiritually rich environment where all members of the school community are valued' and 'the outstanding behaviour of all the pupils together with a high degree of respect and politeness is engendered towards others'. 100% of parents who returned the end of year questionnaires (July 2018), report that their children are happy at school and 96% say that they are happy with the experiences Navenby provides for them. Most pleasing was that all parents would recommend this school to others. Our pupils are 'Ready to Learn' (school motto) because of the belief and value we place in every single one of them. Visitors are always welcome to see this for themselves and to witness the opportunities for learning and development we provide for our children. Please continue to explore our website to find out what is going on at the moment at Navenby Church of England Primary School.